16" x 12" on canvas paper in Acrylics mounted in a frame. 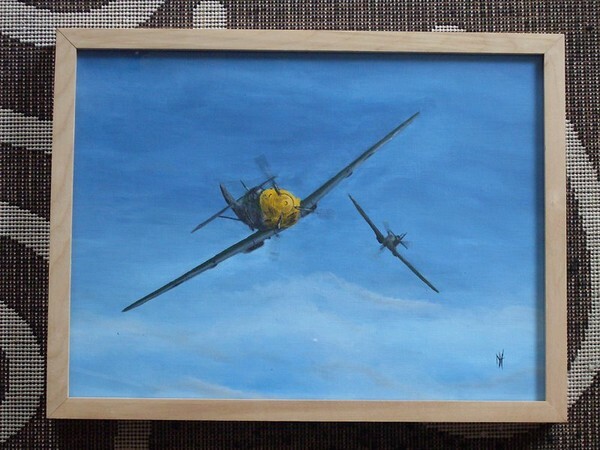 This depicts a ME-109E vs Spitfire I at the height of the Battle of Britain. Artist Reply: Many thanks Ken...they are my favourite era of aviation. Must admit I want to try older types as well...those were the good days of pretty aircraft!